Sharon Lechter was on recently with co-author Greg Reid to speak about their book Three Feet from Gold. 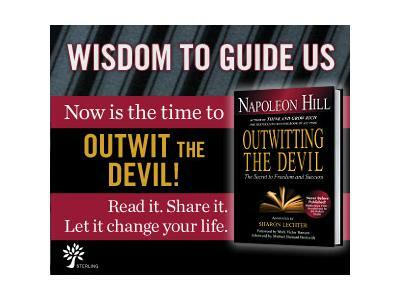 During the interview we briefly spoke about her new book and project with the Napoleon Hill Foundation, Outwitting the Devil. 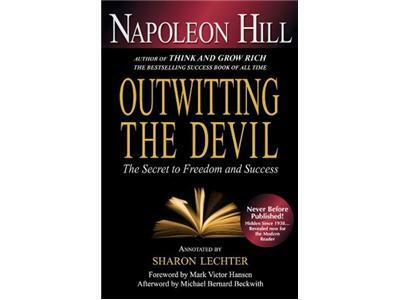 We will be speaking more in-depth about that book and why it matters today as much as it did when it was a manuscript of the great Napoleon Hill’s thoughts. Sharon Lechter is an entrepreneur, author, philanthropist, educator, international speaker, licensed CPA, mother, and champion for financial literacy. Co-author of the bestselling book, Think and Grow Rich-Three Feet from Gold with the Napoleon Hill Foundation, Rich Dad Poor Dad and 14 other books in the Rich Dad series, Sharon’s most recent book project is Outwitting the Devil by Napoleon Hill- a manuscript hidden for over 70 years- annotated and updated by Lechter for the modern reader. She is the founder of Pay Your Family First, a company dedicated to empowering children and families to build prosperous futures through financial literacy education.